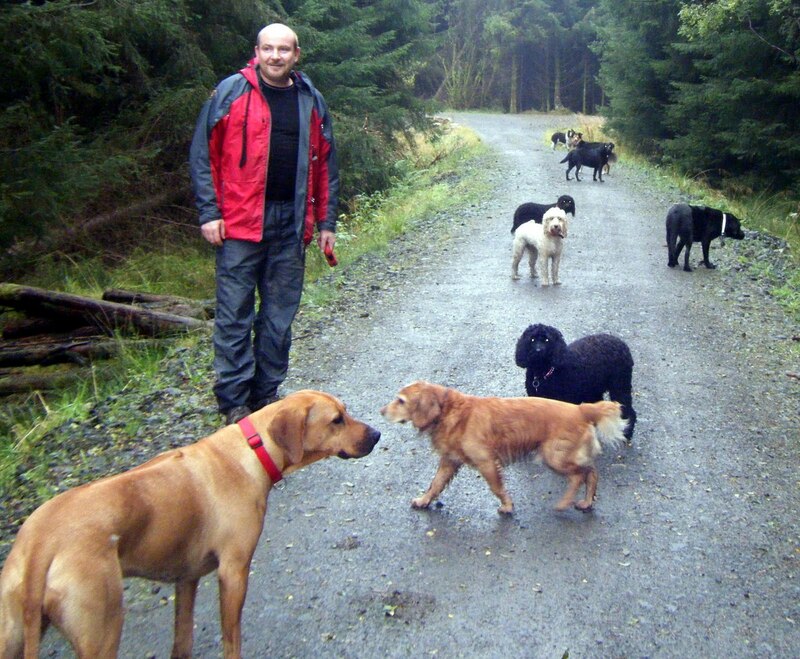 On Friday, Martin came out with me and loved meeting the dogs that he hadn’t walked with before – and lots of the old favourites too! We even let Laddie (who wanders a little) off lead for the majority of the walk until he took off at full pelt into the forest with Martin in hot pursuit. Firmly back on lead for the rest of the walk….and I was glad Martin was there to go clambering through the forest!! This entry was posted in blog and tagged Laddie by admin. Bookmark the permalink.